The East Bay is a region rich in human and environmental diversity. Each and every town, city and village has something unique to offer adding another piece to the incredible puzzle that is the East Bay. 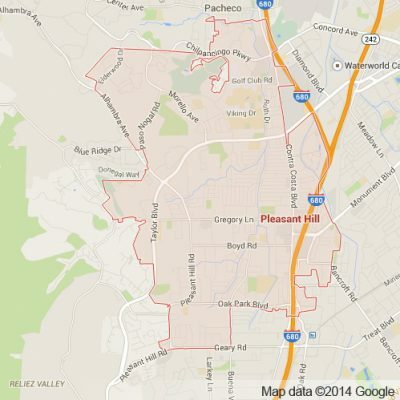 One of these puzzle pieces is the ever intriguing Pleasant Hill. With only a population of 33,000 people Pleasant Hill is home to a number of restaurants and a premier shopping district. Downtown Pleasant Hill has a large movie theater and a number of restaurants making it the perfect destination for a night out on the town. Like many other Bay Area cities Pleasant Hill has a wide and intricate network of parks, trails and other natural beauty. Some of the many parks operated by the Pleasant Hill Recreation & Park District are Dinosaur Hill Park, Pleasant Hill Park, Chilpancingo Park, and Brookwood Park. The surrounding foothills and nearby Mt. Diablo alongside many tree lined streets make Pleasant Hill a desirable place to live and visit with the grandeur of the Bay Area’s natural landscape on nearly every corner. Apex Limousine Transportation is the number one limousine, sedan and luxury SUV provider to the residents and visitors of Pleasant Hill. We offer an endless amount of limo services for events, parties and occasions of all sizes. One of our specialties is comprehensive wedding day services. We work directly with whoever is planning the wedding to ensure that we are helping make this special day as special as it can be. For those Pleasant Hill residents or visitors to the Bay Area in need of a pick up or drop off at one of the major Bay Area airports (SFO, OAK, SJC) Apex Limousine Transportation is also proud to offer prompt, reliable and relaxing pick ups and drop offs. Our professional limo drivers are always on time and will never leave you waiting. We are also a favorite of Pleasant Hill parents and students alike – the reason for this is simple: our limousines are the best limousines for junior prom and senior ball. Our vehicles are luxurious and exciting and perfect for one of those nights that you will never forget. Our limo drivers are professional and committed to the safety and well being of all guests. For those looking for something a little more adventurous and we also offer comprehensive Wine Country Tours! Our knowledgeable staff help you and your party develop a unique and delectable Wine Country Tour in one of our many luxury limousine vehicles. We promise that when riding with Apex you aren’t just going from point A to point B but instead are having an experience. There is a reason that we are Pleasant Hill’s number one limousine transportation provider – because we take what we do seriously. And what we do is provide reliable travel. Join us and together we can make your next transportation experience unforgettable. Please call us for car service all inclusive total for Pleasant Hill to/from Napa Valley transfer.